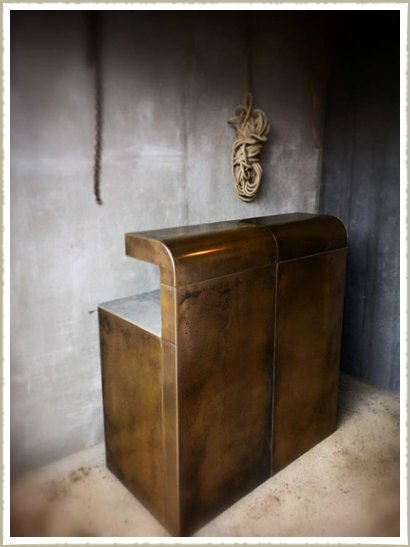 New Design, our Brass bar comes in 60cm sections that slot together. For commercial or residential use, this bar can be made with your own choice of worktop, sink etc behind the bar front. Glass rack also can be made to match as seen in image. Price from £600 + vat for the one section.